The Las Vegas quartet, famous for hits Mr Brightside and Somebody Told Me, join Bon Jovi and The Stone Roses at the top of the bill of the event, due to take place in June 2013. John Giddings, the festival's promoter, said: "We are proud to bring one of the world's greatest rock bands of the last decade to our small island off the south coast of England. Thanks for coming, it will be a weekend to remember." Other acts announced so far for the Isle Of Wight Festival 2013, which takes place at Seaclose Park, Newport, are Jake Bugg, The Script, Bloc Party, Paloma Faith, The Maccabees, Ellie Goulding and Blondie. 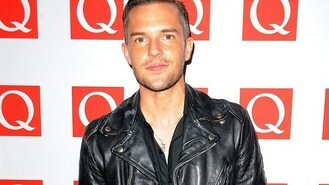 Formed in 2002, anthem-rockers The Killers have released four studio albums which have all topped the UK charts, selling more than six million copies in the US, five million in the UK and a total of 16 million worldwide.